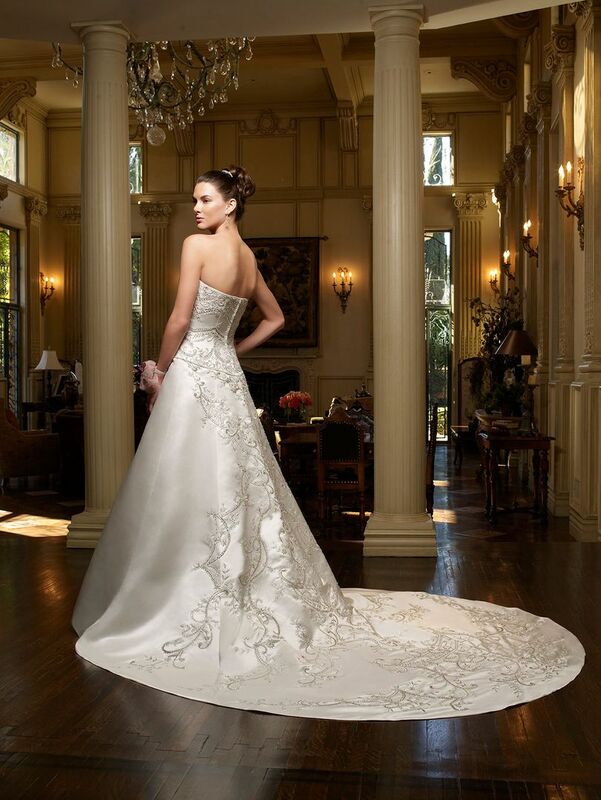 This Casablanca Bridal classic gown features a gorgeous beaded and embroidered design on an A-line silhouette. Only the finest pearls, Swarovski crystals and crystal sequins adorn this sleek satin gown. The back of the gown is accented with an embellished train.